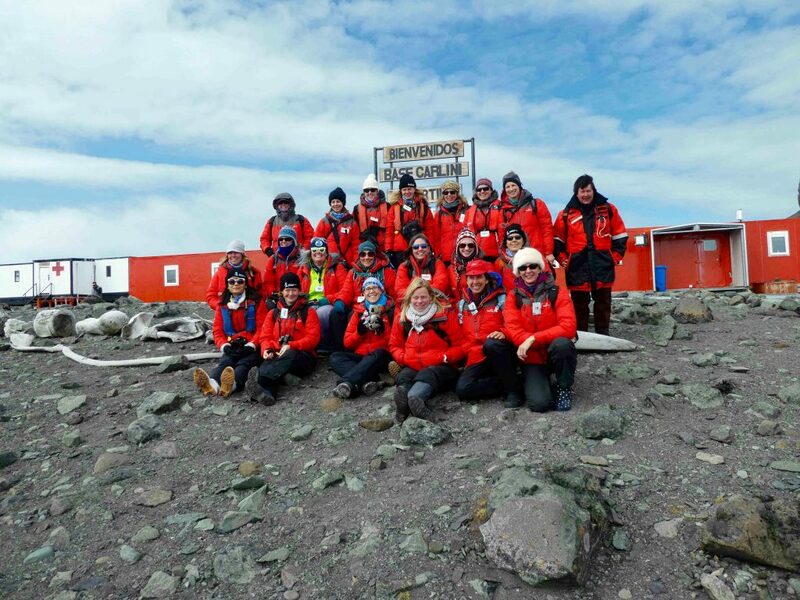 Today we visited the Argentinian base, Carlini Station – which consists of 40 men, three women… and then 76 visiting Homeward Bound participants. First impressions: Antarctic desert surrounded by sweeping arcs of ice. There were stories in abundance from the team who’ve wintered there: they pointed at the glaciers and showed us how far they’ve retreated. They explained why more sea ice occurs when the glaciers melt, in simple terms: more fresh water, melting from the glaciers, reduces the salt content of the water so it freezes more easily. We discovered on the stony beach the shell of a creature which appeared the same as a creature I have petrified into a piece of rock in my office; it’s estimated to be at least 150 million years old. The women were welcomed, we talked, explored, took photos, and ended up in the base ‘cinema’ where they showed us their disco lights and begged us to come back for Saturday night karaoke. 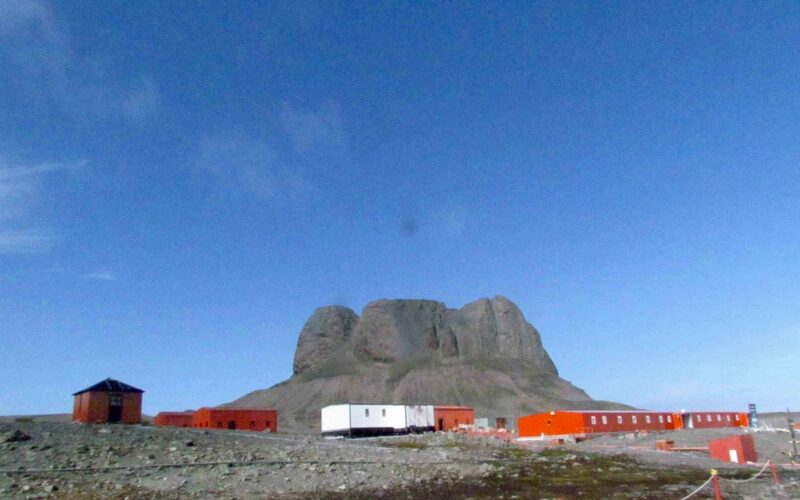 We met 40-year Antarctic veterans who said the snow around the base should have been at least a meter high. There was no snow, revealing the largely barren soil beneath (except for two grasses and a moss that one of the core Homeward Bound faculty, Justine Shaw, a passionate botanist, quickly spotted and showed us). We witnessed some of the science occurring, and we were hosted in the base mess hall. We discovered there is one major food drop over 12 months, and as a result, just how much pride the chef has in ensuring the people on the base are well fed, warm, nourished. I thought about this tiny microcosm of human effort and was again, as always, drawn to the foolishness of a world that doesn’t understand fully how much care scientists put into their work, getting the facts right, validating emerging evidence. Scientists don’t as a general rule distort the truth, they pursue it. It is the rest of us, untrained in this discipline, who are perhaps more willing than most to accept and pass on half-truths, or stories that are self-serving. We’ve never needed to listen as we need to listen now. Every day I hear evidence of this.